Tilton on the Hill is a small but thriving village in East Leicestershire. 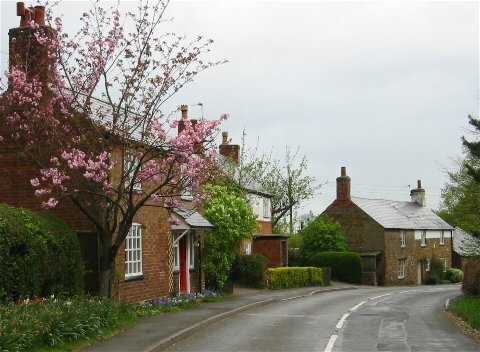 Situated 215m (about 700') above sea level, Tilton is the highest village in the surrounding area. The civil parish of Tilton contains the adjoining hamlets of Marefield, Halstead and Whatborough and these are also covered on this web site. Whilst a village shop and pub remain, the village also contains evidence of a more self-sufficient past, including water pumps, blacksmith's forge and police station. Tilton was founded in Saxon times at the crossroads of ancient paths between Leicester, Oakham, Market Harborough and Melton Mowbray. This has led over the years to a diverse population, with few families living in the village for more than 3 generations, a trend that continues to this day. Tilton has a similar history of public records to other villages in England: Church records start around 1500 with some gaps, civil registration records from 1837, census records from 1841 and so on. Unfortunately many of Tilton's parish registers suffered water damage during the 20th Century, leaving some pages unreadable. Tilton: The highest Place between Here and Siberia!